Mince pies are traditionally served in Britain over the Christmas period. They date back to the 13th Century when the Crusaders brought with them recipes from the Middle East that contained spices and fruit. They would have originally included meat, but nowadays, the mince we refer to uses ony dried fruit. I wrote about how we had a general power outage one Monday. This was followed by something even more serious the following day. We had a massive fire which resulted in our power going down again. Some of the lines were destroyed and others could not cope with the smoke. By lunch time we had no power and the council could not tell us when it would be restored. On Tuesday evening Dave decided he did not feel like eating by candlelight so we drove through to Somerset West for supper. A friend of ours opened up his office so that we could collect his generator before we went for a meal. Dave and I had a quick dinner out and when we drove home we could see the extent of the fire that was burning out of control. The following morning Dave hooked up the generator. The wiring in our cottage is suspect so that could not work on the external power. Dave came back to the office with everything out of the cottage freezer. That contains things that seldom get used, like my bone broth and Christmas mince. However, as we had already had more than one day without constant electricity, some items had started to defrost. I took the Christmas mince back home with me to put into the fridge in the house as we had power there. By 16h00 the electricity department had fixed all the substations and the power came back on. I am not sure what I was most relieved about, being able to bake these mince pies, or watch TV! What I was most grateful for was having the lights back on. 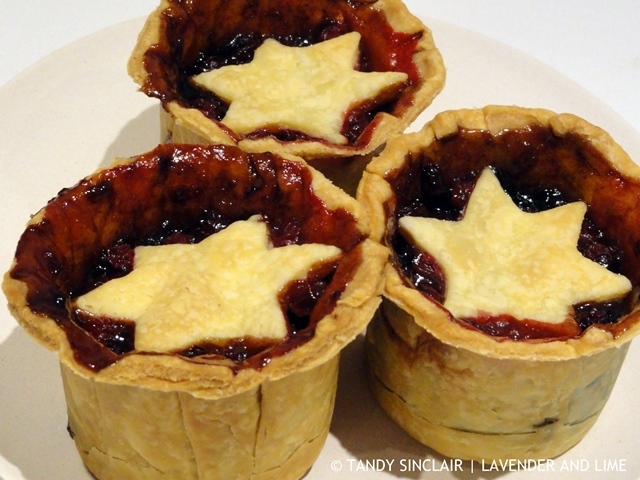 A very nice mince pie recipe, Tandy. Oh wow so sorry about the outage and fires 🙁 But glad you got your TV and baking game back on. Looks tasty and love the star. Oh no, another fire! That’s terrible news. I’m glad it all got fixed and I hope that you didn’t lose too much food. Ah glad your lights are back on; that sounds awful! 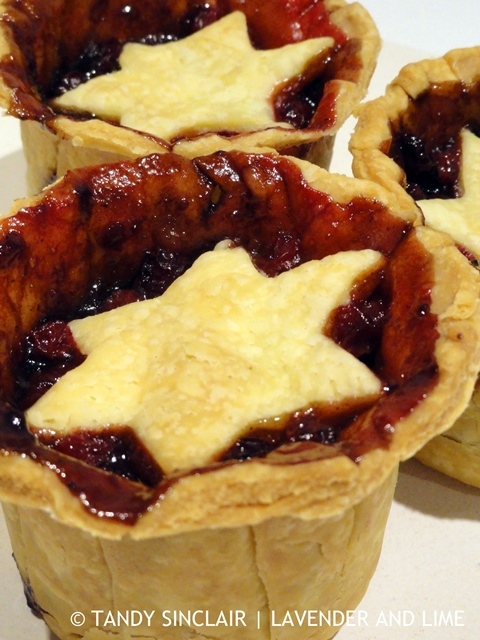 But I guess some good came of it in that these mince pies were made… They look so pretty! I love your website because you keep me turned onto things I’ve never eaten before! My family never made mince pies when I was little. To be honest, I thought mince pies were made from meat. Are they sometimes made of meat? School me! I followed the link to your Christmas Mince and it also looks incredible! Wow! sounds like there is a lot to be thankful for. These mince pies look delicious. Take care Tandy!